Void periods are periods of time when a property is vacant. Having long periods where your property is empty is far from ideal since if a property is without a tenant, it is not bringing in any rental income. There are however several things you can do to reduce vacant periods in your rental properties. Since an increasing number of the UK population now plan to rent indefinitely, it is important to make your rental property feel like home for your tenants. This way they are happier in your property and are less likely to want to move. Ensure decor and fittings are kept up-to-date, particularly kitchens and bathrooms which have proven to be the main selling points of a property. Even carrying out small updates will make a huge difference to how a tenant feels about your property. By keeping on top of the small and medium maintenance issues, you will also be more likely to avoid large, expensive repairs which will require the property to be vacated. Prior to welcoming new tenants into your property make sure you vet them thoroughly. Make sure you carry out tenant references to check their backgrounds, rental history, employment status and credit history. Good tenants with a positive rental history are much less likely to break the conditions of their rental contract. This means that they are unlikely to leave your property at short notice or fail to keep up with rental payments, which could lead to a costly eviction process. Consider offering discounts to ensure you attract and keep the best tenants. For example, you could offer a discount on the first month’s rent or lower the tenancy deposit amount. Once your tenants have moved in, be sure to build good relations with them. The best way to do this is to respond quickly to any queries they may have, and maintain regular contact with them to nip any issues in the bud. If you are pleased with your tenants, its recommended that you reach out to them prior to their contract ending and offering them an extended lease. Do your research and make sure the rent prices you are charging match the market rate of similar properties in your area. Look at how much local estate agents are listing rental properties for and adjust your expectations accordingly. If you are wanting to minimise void periods, your best bet is to slightly lower the price of your rental property, since tenants are likely to hold out for the best deal. 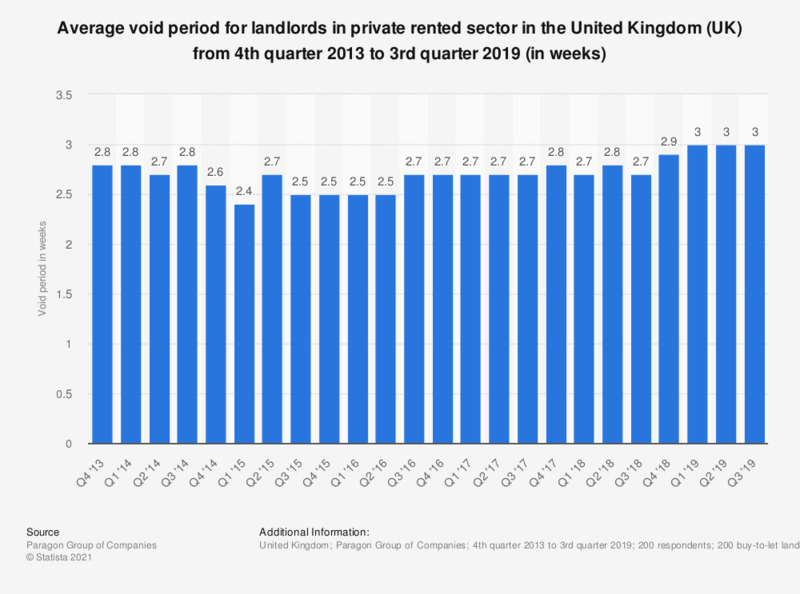 If you are looking to increase your rent price, you should be aware that this may increase your chance of facing void periods. Any increase in rent you make should be fair and in line with current market rates. If not, you run the risk of existing tenants leaving and prospective tenants being put off by high prices. It is important to be prepared for when your tenants move out. Begin marketing your property as soon as you know their arranged move out date. It would be a good idea to gather a stock of good quality photos to upload to online marketing portals. Have all the necessary paperwork e.g. energy performance certificates to hand and make sure it is all up-to-date. You are within your rights to conduct viewings of the property prior to the tenant’s move out date. Be considerate and make sure you give your current tenant plenty of notice beforehand. Ensure that any issues pertaining to the property, like any damage that requires repair is quickly fixed. If this requires the tenant paying towards the repair, ensure that you communicate this clearly to avoid any problems with the return of the deposit. In an ideal world void periods would be completely avoidable, however the reality is that you are bound to face times when your property is vacant. That’s why it is very important to budget for times when you will not be receiving rental income. It’s said that the majority of rental properties will be rented 11 out of the 12 months in a year. So it’s best practice to prepare for at least one month where you are not being paid rent. While your property isn’t occupied you will still have to pay for the running of the property Costs will include but aren’t limited to, mortgage payments, gas/electrical bills, insurance and council tax. You will also have to pay marketing and advertising costs to help you find a new tenant. Taking out rent protection insurance helps protection against long void periods. While insurance will not cover you for all void periods, it will protect you in circumstances where a tenant doesn’t pay their rent or where you have been forced to evict a tenant from your property. Investing in an insurance policy is a worthwhile backstop and has the potential to mitigate the risk factors involved in renting out your property. Profit margins in buy-to-let properties can be quite tight, particularly if you have a smaller portfolio, so it is important to take precautionary steps to protect your investment. While void periods are sometimes unavoidable, there are many things you can do to minimise their impact: maintaining the desirability of the property, tenant relations and competitive pricing. Keep void periods to a minimum by ensuring you offer your tenants a consistently high level of service, being proactive with tenant move out dates and budgeting well.